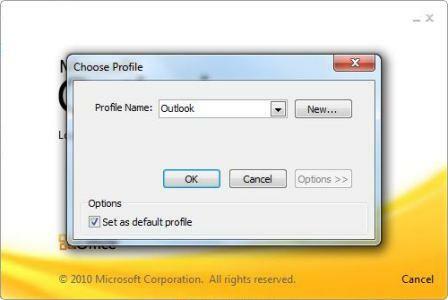 When starting the Outlook 2003, Outlook 2007 or Outlook 2010, a “Choose Profile” dialog box may appear and popping up at startup, requiring user to select a profile from the “Profile Name” drop down box. Within the “Choose Profile” dialog box, there is “Options” button which when clicked, will reveal “Set as default profile” check box setting that allow users to permanently and automatically use the selected profile without been prompted again. 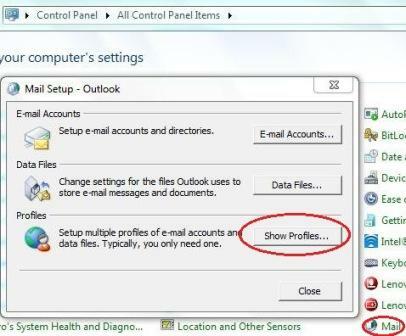 However, when the Outlook program is closed, and been started to run again the next time, the “Choose Profile” dialog box will be prompted again on startup, despite users have repetitive select and tick the “Set as default profile” check box. The behavior happens when the “Set as default profile” check box in the “Choose Profile” dialog box is used to specify the profile that appears first in the list of profiles. 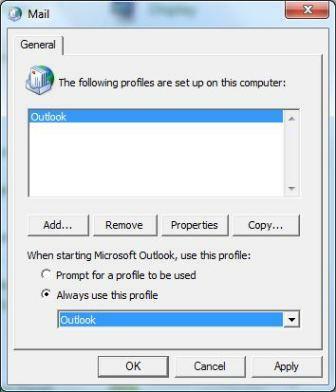 The “Set as default profile” check box does not set the default profile that is automatically used by Outlook. Outlook assumes the first profile is supposedly to be opened automatically. The same issue also happens when there is only one profile available for selection. Go to Start menu, and then click Control Panel. In Control Panel, double-click Mail (if you can’t see it, change the view to classic or icons). In the Mail Setup dialog box, click Show Profiles button. Click and select the radio button of Always use this profile, and then select the profile that you want to use as the default profile from the drop down list.